Aaron Antonovsky’s salutogenic model is starting to impact health promotion at the level of theory and research. However, the benefits of Antonovsky’s theory for population health promotion practices and health care restructuring are unrealized. 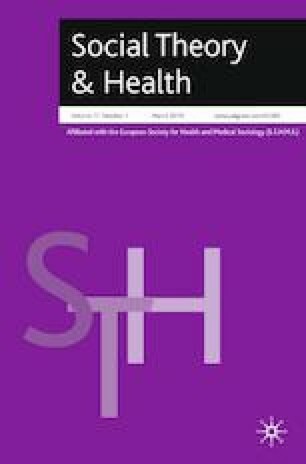 This analysis uses the definition of health derived from complexity science as a lifelong, multidimensional adaptive process comprised of intersecting biological, psychological, social, environmental, and spiritual systems as a starting point for a salutogenic analysis of formal healthcare. Following Antonovsky’s criticism of contemporary healthcare as resting upon a pathogenic paradigm, I outline four general shortcomings associated with the pathogenic approach to healthcare. The basic elements of a healthcare system designed according to principles derived from Antonovsky’s salutogenic model of health are then presented. It is argued that Antonovsky’s theory offers a productive basis for conceptualizing health and healthcare systems in that it allows us to grasp that debates between population health promotion and providing medical care, are, at their root, unproductive debates predicated on a false dichotomy. A salutogenic healthcare system is one which pays credence to the nested complexity of human health and strives to strike an adaptive balance between health production and the provision of medical care. Lindström, B. 2010. Salutogenesis—an introduction. Retrieved from http://www.ndphs.org/documents/2502/SALUTOGEN%20ESIS%20and%20NCDs.pdf.